Due to a transformative culture of firsts, Mint Group was nominated as a finalist in six Microsoft Partner Network (MPN) Partner of the Year Awards categories on 9 October 2018, and named a winner of three, a feat attributed to the organisation's transformation towards being an innovative solution-driven consulting company. Dubbed "an incredibly innovative company'' by Microsoft MD Zoaib Hoosen, Mint Group was recognised as the Cloud CRM Partner of the Year, Modern Workplace Partner of the Year, and received the prestigious Managing Director's Partner of the Year Award. Mint Group CEO Carel du Toit attributes the organisation's success to the way it aligns across the key Microsoft areas and segments and delivers innovation across all three cloud offerings: Azure, Dynamics 365 and Office 365. "This focus is very rare and competitive, ensuring that we are well aligned to Microsoft's offering and its key FY18 priorities and strategic direction," he explains, adding that the success of this strategy was reflected in the recognition received at the awards. "Mint Group has always been the first choice when it comes to Dynamics 365 and our significant achievements over the last year rendered us the first choice for the Cloud CRM Partner of the Year award," explains Mint Head of Delivery Rynhardt Grobler. "We have a clear goal to be the number one solution provider when it comes to customer-centricity. With this in mind, we are continuously improving the way we sell and implement D365 to a wider audience with continuous support from our biggest partner, Microsoft," he adds. As last year's Dynamic's 365 partner of the year, Mint Group made history by signing the biggest ever D365 commercial deal with Microsoft in 2018. In addition, the organisation experienced 100% Dynamics 365 customer growth, attained 136% revenue over its business plan, 252% growth in licensing since 2017, and doubled its cloud revenue mix from 35% to 70%. The organisation's culture of first, however, also reflects in its Modern Minds practice, which takes customers on a journey of digital transformation, with multiple workloads delivered with Microsoft 365. "Newly established, Mint's Modern Minds practice has made a significant impact across industries with the innovative solutions, change management and training initiatives delivered to key industry players," explains Mint Head of Delivery Henri Fourie, highlighting that Mint Group's qualified entitlements in Office 365 grew from 11 500 to 2 463 521, and customer adds grew by 122% year on year. Fourie adds that Mint Group aims to develop solutions that add value to what is already a compelling proposition from Microsoft. "Our solutions often involve extending existing systems to a broader audience and making them available through mobile channels. The real value, however, is only realised by ensuring that our customers successfully roll-out and make use of the solutions we implement. Digitally enabling the workforce is key to our success." Reflecting on the bestowment of the Microsoft-selected strategic award, Managing Director's Partner of the Year, Du Toit explains the award recognises a partner that has overachieved in one or more areas important to Microsoft and the IT industry. "Mint Group has made a considerable impact on Microsoft SA's revenue and market share growth with ground-breaking wins in cloud, digital transformation, mobility, business applications and app dev," he explains, adding that the organisation's competencies, skills and capabilities across all cloud offerings contributed towards the realisation of this award. "Mint has a vested interest in its clients and people, and everything we have been working on over the last couple of years has finally come together. Our transformation and disruptive culture ensures that we never stop and continue achieving firsts." In addition to the winning categories, Mint Group was named a finalist for the Data, Analytics and Artificial Intelligence Partner of the Year award, recognising the organisation's achievements in Azure Data Services. 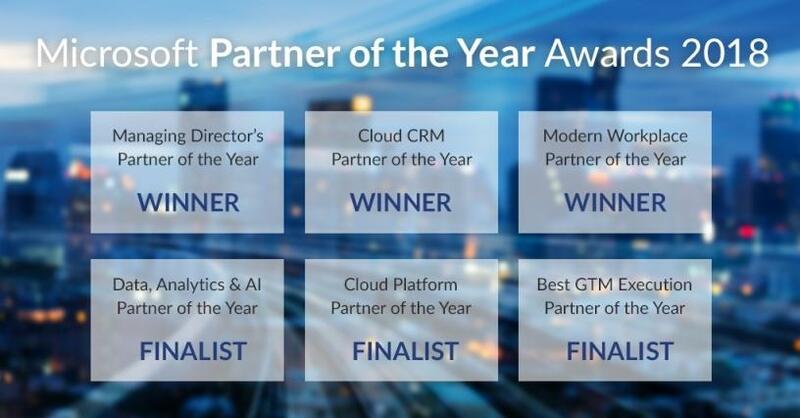 Further, the organisation was named a finalist for the Cloud Platform Partner of the Year award, highlighting Mint Group's continuous innovative efforts in helping customers modernise its infrastructure, migrate applications and data to the cloud, and build analytics solutions on data platforms in the cloud. Lastly, Mint Group is very proud to have been named a finalist in the Microsoft-selected Best Go-to-Market Execution Partner of the Year Award, which recognises partners that generated the most opportunities in a co-marketing investment with a Microsoft Partner Marketing Advisor, utilising Microsoft marketing programmes. Extending his congratulations to Mint Group's peers who were recognised at the awards, Du Toit noted that "it has been an innovative year, with the partner channel achieving remarkable innovations even amid the current economic climate. We are excited to keep working with the Microsoft Partner Network and achieving better business together."